You’re not looking for a mattress. You’re looking for the mattress. An unparalleled comfort experience, bar none. The Serta iComfort mattress was designed to be exactly that: the last word in comfort, powered by the latest innovation in Serta cooling: TempActiv® technology. availability vary by local authorized Serta retailer. 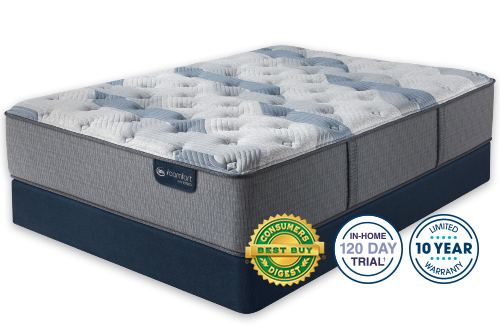 For those that prefer an innerspring system, iComfort Hybrid models combine Serta’s top-of-the-line Serta Hybrid Coil™ system with advanced memory foams. These elements work together for superior motion control and pressure-relieving support. More than just a patented coil system, Serta Hybrid Coil™ delivers on the three things you need in a mattress: comfort, support, and durability. In all-foam iComfort models, layers of dense, luxurious foam provide cooling comfort and cradling support. Plus, every model now features our TempActiv® Touch Cover for a cool-to-the-touch sensation. Choose from a variety of models ranging in feel so you can find the level of comfort that’s perfect for you. Serta’s finest memory foams are layered in a harmonious balance of comfort and support, no matter how firm or plush you prefer your mattress. It's like feng shui you can sleep on. All iComfort mattresses are compatible with our Serta Motion Collection™ adjustable foundations. Whether you like to watch television, read or just relax after a long day, Serta’s Motion Collection adjustable foundations allow you to adjust the head and foot of the mattress to find that perfect level of comfort and support. Plus, be sure to check out our premium collection of iComfort® accessories, including mattress protectors, sheets and a range of pillows. We are completely pleased with this mattress. I wasn't too sure at first with it being firm, I thought it might end up being too hard for us to sleep on. However, after sleeping on it for about a month and a half now, I can definitely say we are not disappointed at all. We love it. It is supportive and comfortable. We do not get too hot sleeping anymore and our arms do not fall asleep during the night either. I have some back issues and I have had really great sleep with this mattress. The ... read more combination of coils and foam really makes a difference. This bed helps me sleep like a baby! When traveling and staying at luxury hotels, I would often think to myself that I needed a new bed to replace my older foam mattress, because I would sleep great through the night while on a luxury mattress. That being said, I am so happy that I now have my own luxury Queen mattress, and I sleep wonderful through the night. My husband prefers firm, where as I usually go for a plush mattress, this mattress is both in my eyes. It is firm, and supports body weight evenly, and you don't sink in ... read more uncomfortably, but it also plush, because while firm, it allows your body to unwind and relax. I feel like I've been sleeping on a plush, firm, dreamy cloud! I haven't woken with any discomfort, and I also don't wake my husband when I get up in the morning. I love how tall this mattress and box spring are on their own, and sitting on my bed frame, it looks majestic. I think the one thing I love the most is, how much more cooler I'm staying through the night! You can definitely feel the coolness from the gel, and makes waking up that much more pleasant, as previous mattresses always made me hot and sweaty. 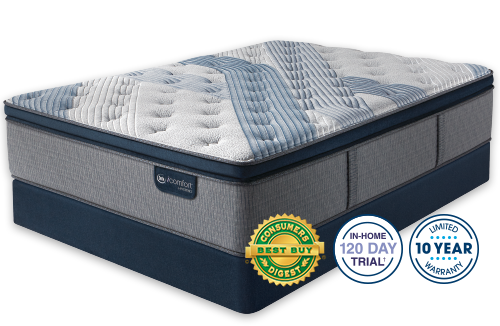 This Blue Fusion 1000 Luxury Firm Pillow Top mattress is a dream! The Most Comfortable and Relaxing Nights Sleep I've Ever Had!! The iComfort Foam mattress is very comfortable and after constantly waking up with back pain from my old spring mattress, I no longer have to deal with that pain. I haven't woken up with back pain since I've received my iComfort Foam mattress! I sleep easily through the night and wake up feeling refreshed in the morning! This mattress is by far one of the best investments I've ever made. The iComfort Foam mattress is worth every penny of the price in my opinion. I'll never buy another spring mattress again. I have not slept on my iComfort Hybrid for long, but so far I have to say it’s the most comfortable mattress I’ve ever owned. I purchased the Blue Fusion 200 Plush and for me the level between softness and support is about right. I’m mainly a side and back sleeper and this one seems to have a good medium feel to it. I also purchased a close out Serta Heads-Up pivoting base with it. I believe this foundation has been discontinued and replaced with bases that offer more adjustments, but the price ... read more was right and makes the bed even nicer. The workmanship of the product is excellent and it’s a heavy mattress. I’ve always heard that weight of a mattress is a good way to know if quality components were used in the manufacture of it. It seems to sleep fairly cool although might be a little warmer then my old budget mattress. I always keep a mattress protector on it however so that might effect sleeping temps a bit. 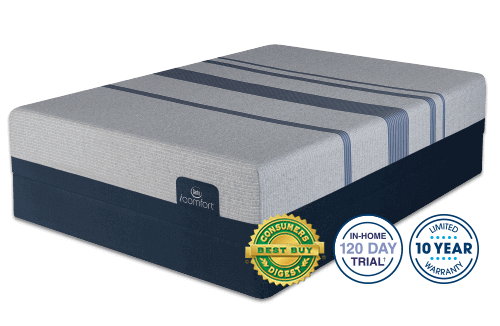 I chose the Hybrid over the foam only iComfort because I still like a little “bounce” in my mattress, but it appears that motion is well isolated. The only negative that some people might have with this mattress is that it’s pretty tall. I’m a 6’1 guy so I actually sort of like how high it sits, but shorter people might not like jumping up in bed depending on how high the bed frame and foundation sits. Overall I highly recommend this mattress. I like the product because it is obviously very comfortable even from day 1 i knew i was bringing this mattress home well worth every penny spent. I had an old Sears brand pillow top mattress before that was passed down to my by my grandparents after my grandfather passed which was at least 10 years old so i desperately needed something new and with better support and this mattress was PERFECT, i would definitely reccomend a serta brand mattress to anyone and especially buying from your local jcpennys!! This product is so wonderful! I can’t tell you how many different mattress brands I’ve owned in my life but I do know that this serta set is, hands down, the best I’ve ever owned. It has some amazing qualities! It’s firm but plush af the same time. You just sink into it but it still supports you. It keeps me cool even with the weird February heat we have had in the south lately. I would recommend this to anyone looking for a new mattress and foundation. I can’t say enough good things about it. Just give it a try for yourself ... read more and I promise you won’t be disappointed! I am extremely impressed with this mattress. We slept on it for two weeks before writing this review. I found the mattress to be very supportive and comfortable. I love the way my body sinks into the mattress. Also, this mattress is very well made and excellent quality. Overall, I am very happy with our new mattress. This mattress needs a break in period for sure. The first 10 days I was unsure if we would keep it but, now I love it and we are only on day 14 and it's so much better. My husband is 6 "1, 250 lbs and I am 5 "4, 175. We usually sleep on our sides but, with this mattress we have both become back sleepers. We did buy the adjustable base (motion i series) foundation and that has worked fabulous with this mattress. This is my second Serta mattress and I doubt if I will ever choose another mattress brand. 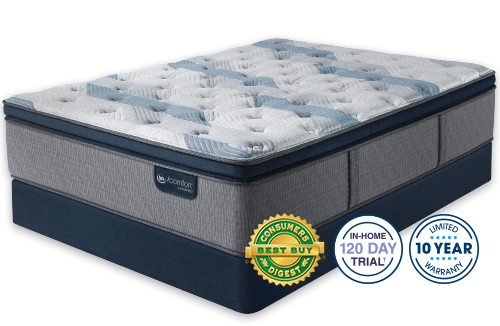 The blue 300 mattress is very comfortable and the quality of the material shows. My wife was not a huge fan of firm mattresses, but this one surely changed her mind. This mattress comes with a 10 year warranty and I have received great support from Serta's customer service before. Product and brand highly recommended! We believe comfort is something that should endure day-after-day.  That’s why every Serta iComfort sleep system is backed by Serta’s 10 year limited warranty (click here for details). We build our iComfort mattresses from the bottom up with the highest quality materials for years of outstanding comfort and support. All Serta iComfort mattresses are designed and assembled in the USA, leveraging Serta’s 85 years of manufacturing expertise. Plus, all our foams are Certi-Pur® certified, meeting their standards for content, emissions and durability, and are analyzed by independent, accredited testing laboratories. Our focus on quality is one of the reasons that Serta iComfort has been named a Consumers Digest Best Buy for 6 years in a row and Serta has earned the Women’s Choice Award for mattresses for 4 years in a row. You can feel confident when you switch to a Serta® iComfort® Sleep System with our 10-Year Limited Warranty and our 120-Day In-Home Trial.  This trial program is offered exclusively by Serta to our retail partners, allowing you to experience your new iComfort sleep system in your home for up to 120 days - and still exchange or return it if you are not completely satisfied. Once your iComfort Sleep System is delivered and set up in your home, sleep on it for a minimum of 30 nights to adjust to a new level of comfort and support. If you are not completely satisfied after the first 30 nights, contact your Serta retailer to discuss your options. *Policies set by local retailer.